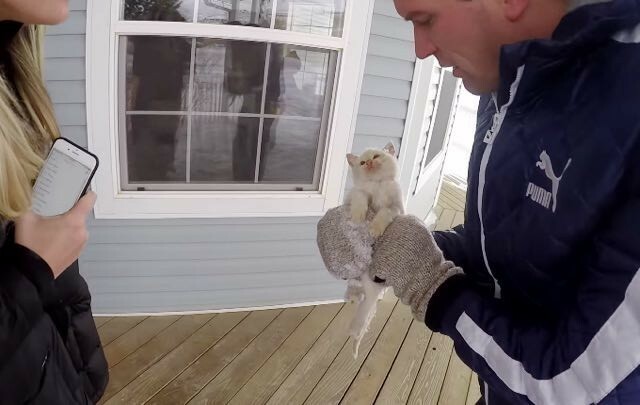 They Spot A ‘Lifeless’ Kitten Frozen To The Ground. Then They Bring Him Back To Life! Lazarus is being called a miracle kitten. Why? 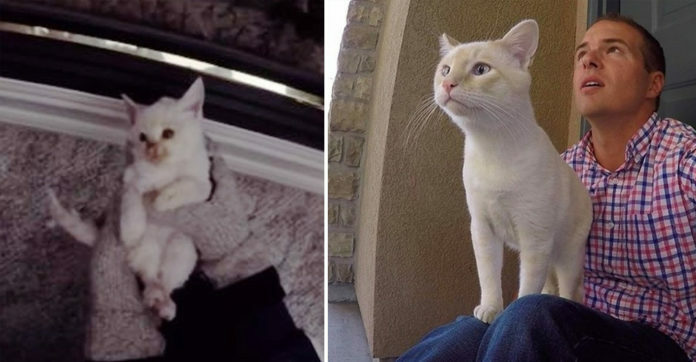 Because they found him frozen in the yard and brought him back to life! 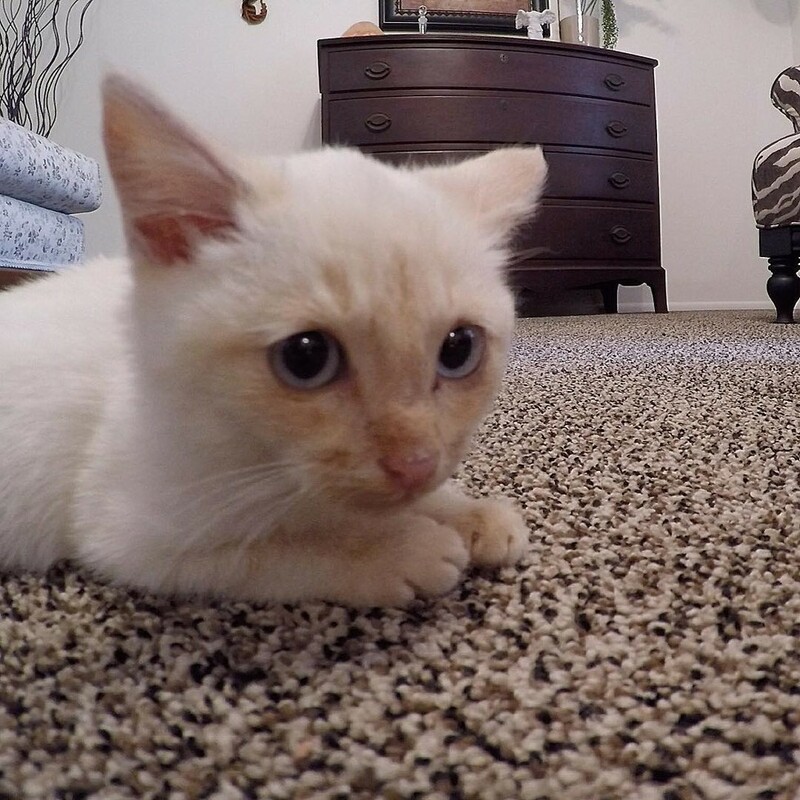 It was Thanksgiving day when Branden Bingham found the tiny cat in his yard. The cat appeared to be lifeless. They brought him in and did everything they could to bring him back. After hours of warmth and care and some CPR, the kitten woke up! The kitten was understandably confused. But once Branden held him in his arms, things turned around. Lazarus made an incredible recovery and everyone in the family helped! 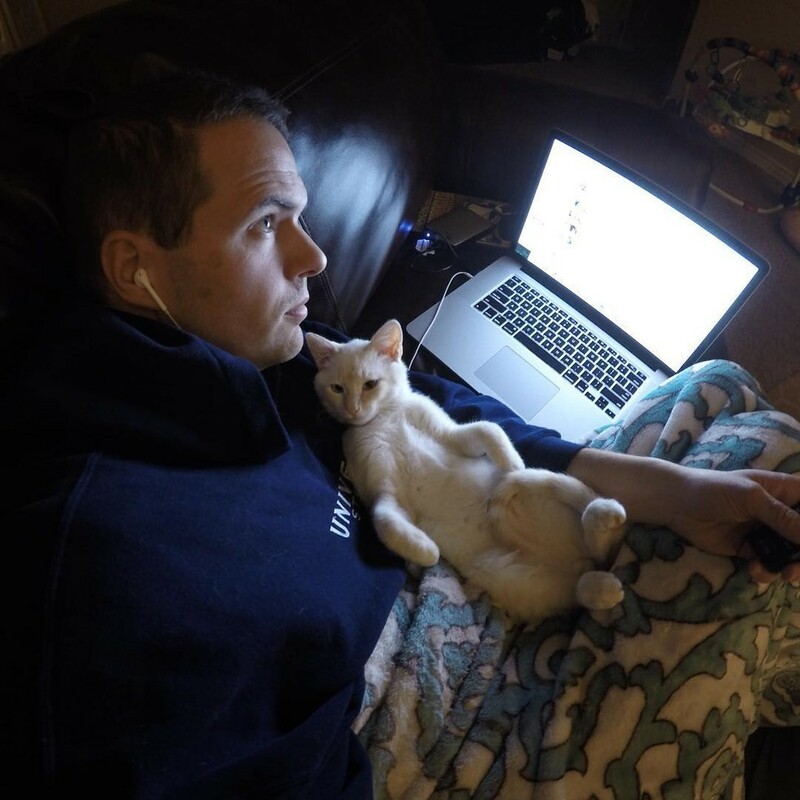 Since that day, Lazarus has not been able to stop budding with his new human dad. Lazarus clings to him and is in constant need of love and cuddles.